Rio, 2am and the pulsing heart of the city is beating faster than ever. The heat of the day still lingers, but a welcome breeze keeps things pleasant. At least it might, if I wasn’t wearing the heaviest, most elaborate costume I have ever put on. Around me, people are in various states of undress. It’s something you get used to on Rio’s beaches, but right now my scantily clad friends and I are preparing for something remarkable. Undoubtedly the most famous party in the world, I’ve always wanted to witness the passion of the Rio Carnival. But have you considered what it’s like to actually be in the parade? Well, I’m about to find out. The sheer scale of the floats, and the complexity of the moving parts that have brought these colourful displays to life, is amazing. The costumes left me speechless. Competition to impress the Carnival judges is fierce, and I am in awe of the creativity on display. It takes 45 minutes for the dancers from each participating samba school to sing and sashay their way down the parade route alongside the floats – inside a purpose-built stadium known as the Sambadrome, which, while narrow, is the length of several football fields. I had hoped that a few intensive samba lessons might come with the costume, which anyone can purchase to secure a place in the parade (try riocarnaval.org). But they are a little more relaxed here than on Strictly Come Dancing, and I am left to ‘dad dance’ down the Carnival route. During Carnival, the whole city is either in fancy dress or swimwear, on and off the beaches, and the atmosphere is nothing short of jubilant. When you need time out, I recommend a cerveja and a spot of people-watching on the famous Copacabana boardwalk. 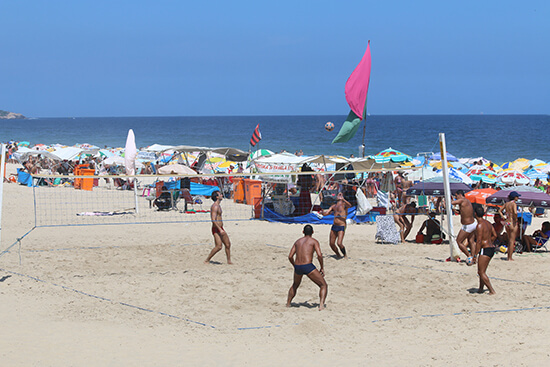 Life is lived on the beach in Rio – whether people are playing sport, working out, relaxing or making music. Sometimes there’s even an impromptu dance party. The best way to get a close-up look at Christ the Redeemer is by narrow-gauge train, which you need to book in advance. Enjoy the same glorious views as Rio’s ever-watchful guardian and figure out the lay of the land. 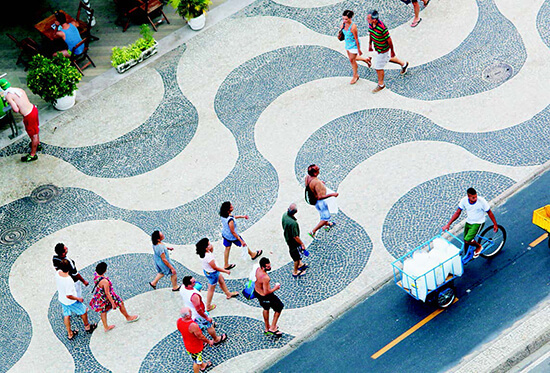 It would take quite some time to walk along the signature wavy path that runs the extraordinary length of Copacabana beach. Luckily, it’s punctuated with bars every few minutes, which will keep you hydrated when you join the throngs of local sunbathers. Each of the 215 steps of the Escadaria Selarón has been painstakingly decorated with vibrant and eclectic ceramic tiles. Some have been hand-painted by Chilean-born artist Jorge Selarón, who began the project in 1990, and tiles have been donated by visitors from all over the world. During Carnival, block parties break out all over the city, so you’re never far away from fun. We found one close by Ipanema beach. Grab a Caipirinha from one of the street vendors and embrace the energy. The sloping, cobbled lanes in the delightful coastal town of Paraty protect the pretty, colonial buildings from flooding. Surrounding beaches offer great snorkelling – look out for the ice-cream boat making the rounds. 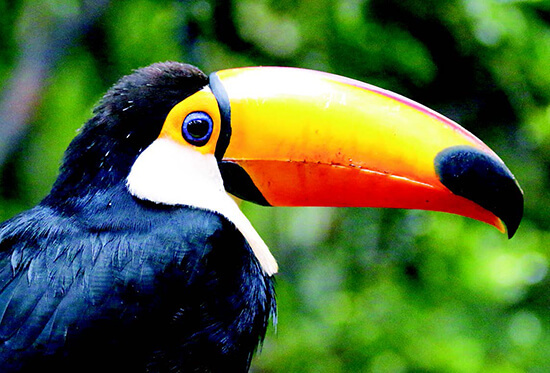 With their way-out-of-proportion beaks, toucans may look a little fearsome. But they proved to be pretty friendly at Parque das Aves. 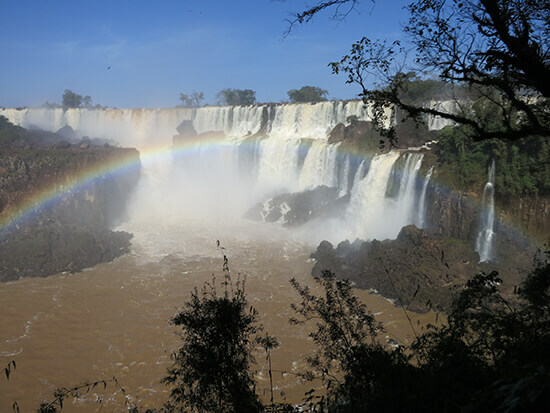 Get really close up at this bird sanctuary, near the entrance to the Brazilian side of Iguassu Falls. Take a boat and be fully drenched by the spray of the water, or make time for a helicopter ride to take in this awesome spectacle from above. 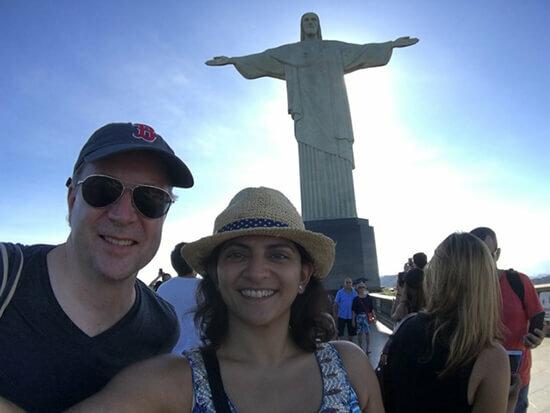 Discover Rio and South America with some help from our Travel Experts. Make an appointment to chat with one of them today, and they'll help you find the holiday to suit you.